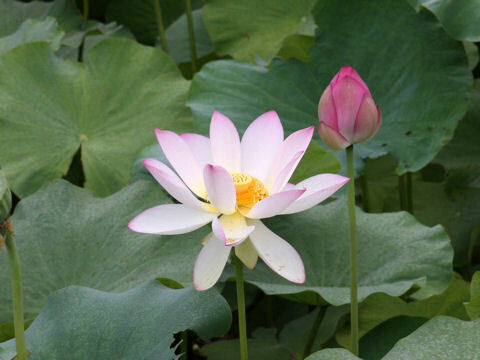 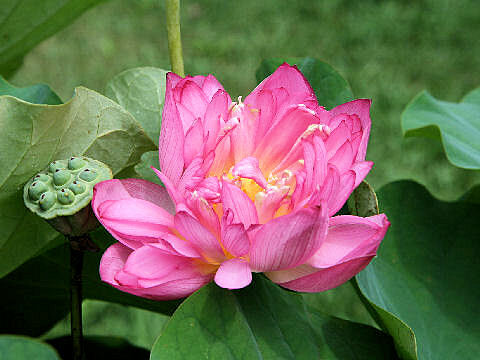 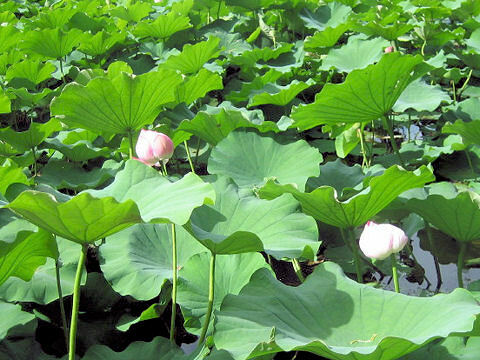 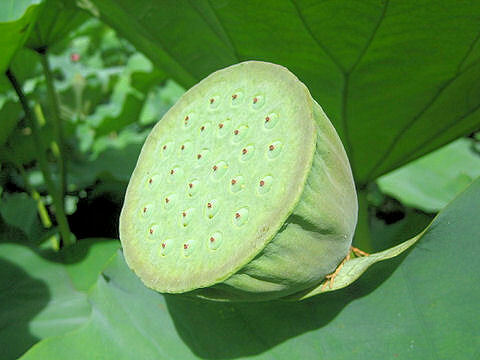 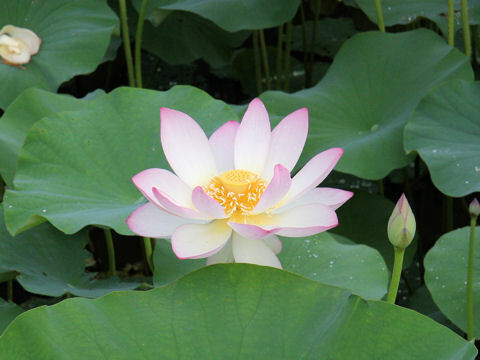 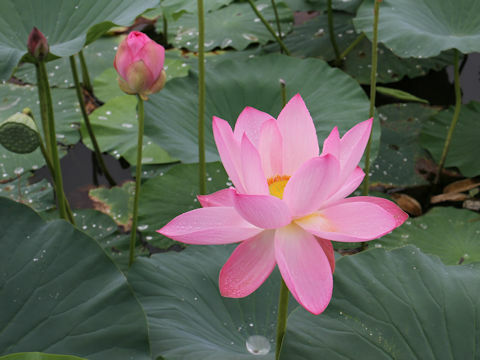 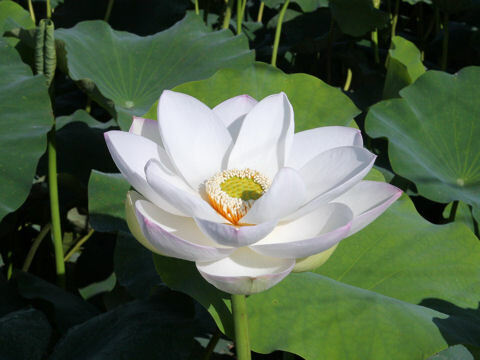 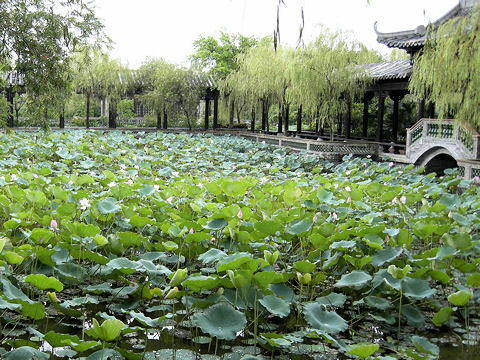 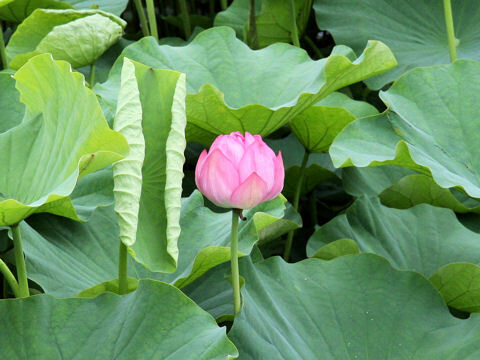 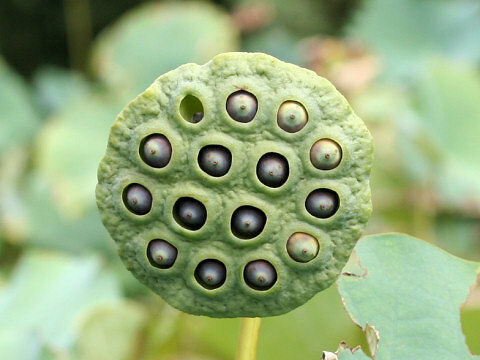 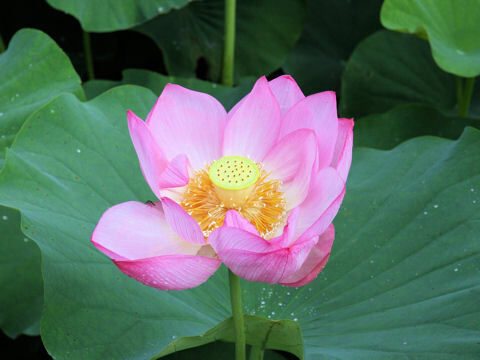 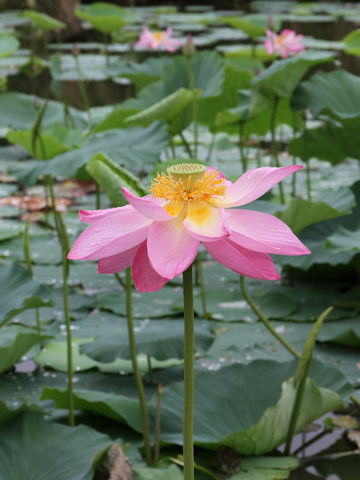 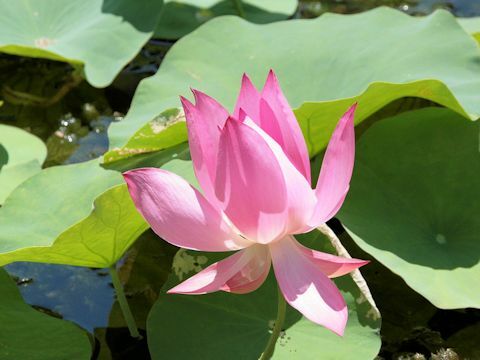 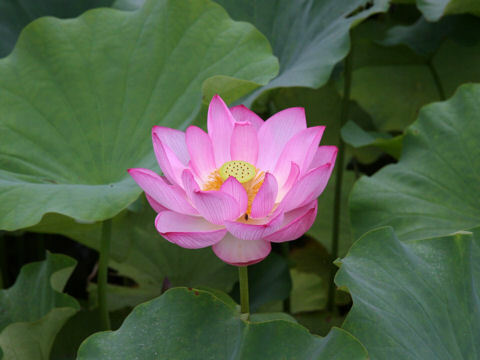 The Sacred water lotus (Nelumbo nucifera) belongs to the Nelumbonaceae (the Lotus family). 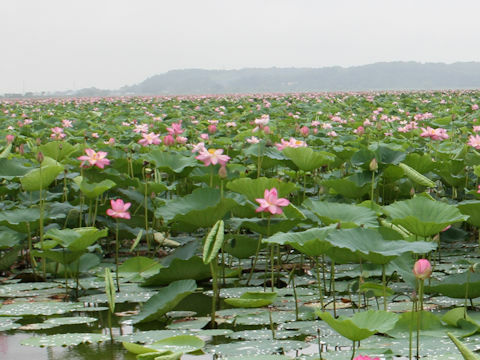 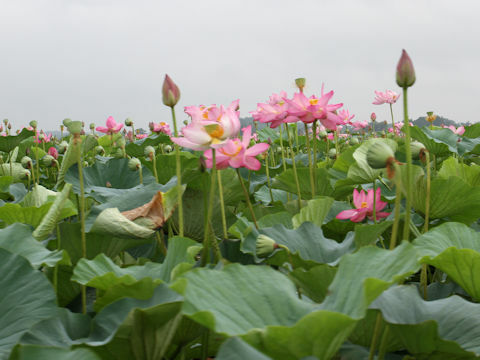 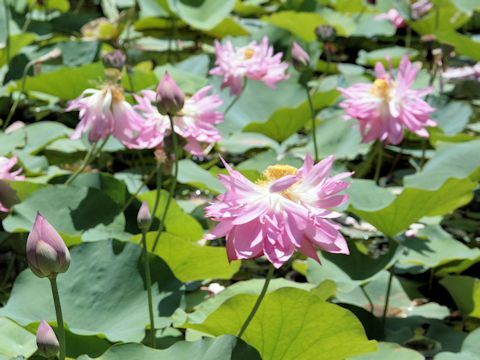 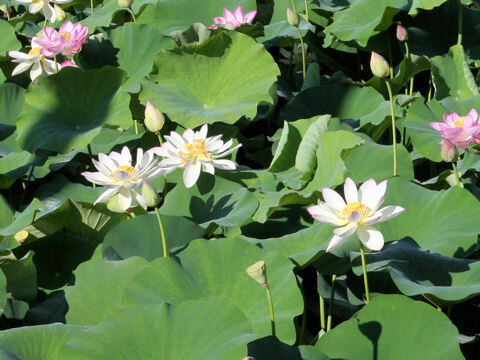 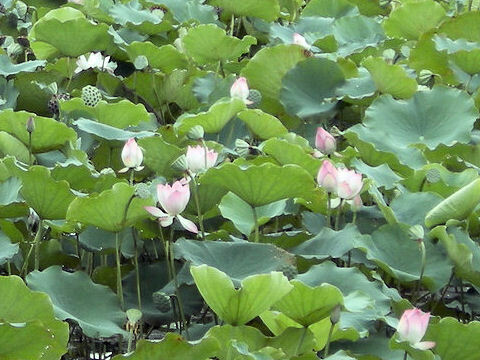 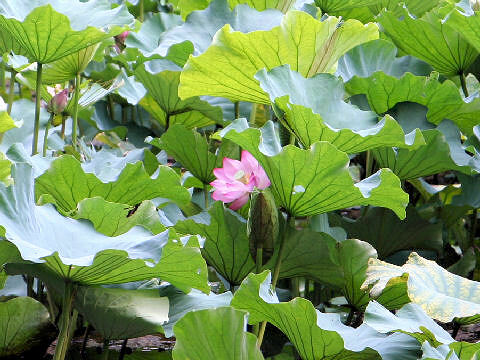 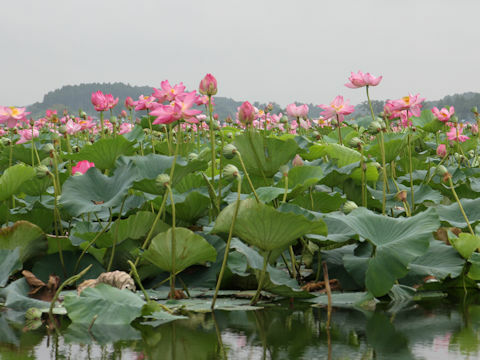 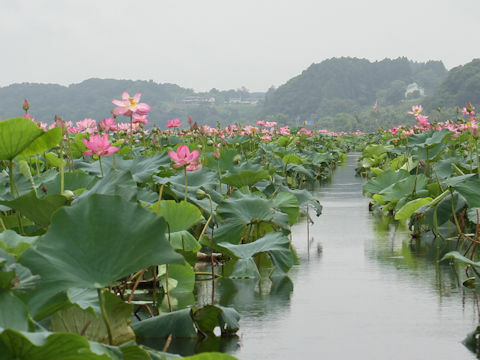 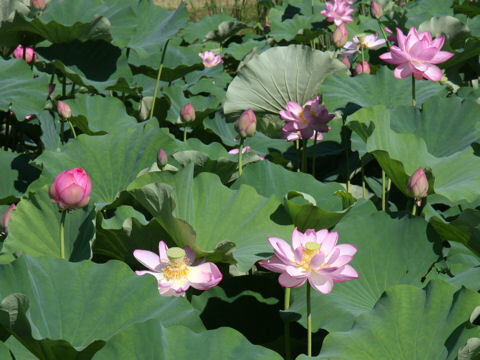 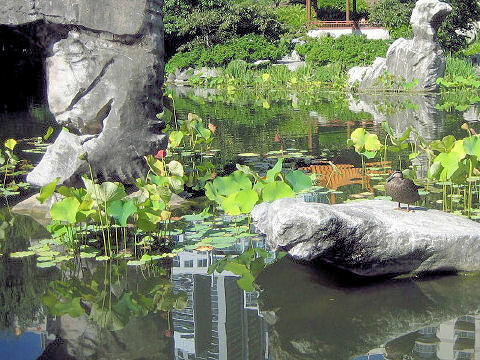 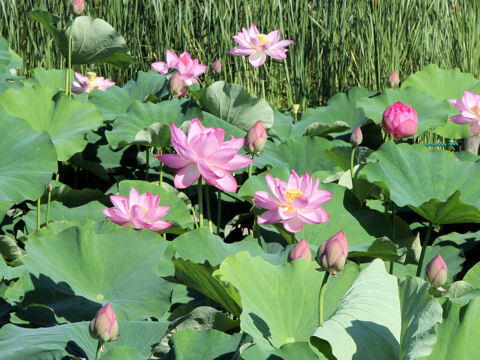 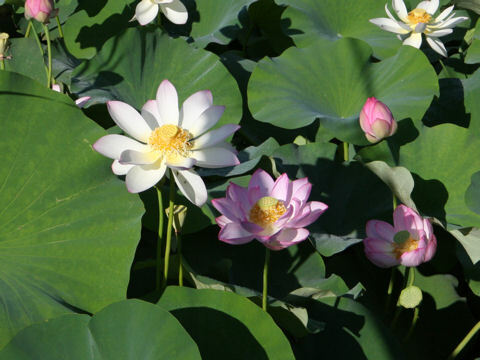 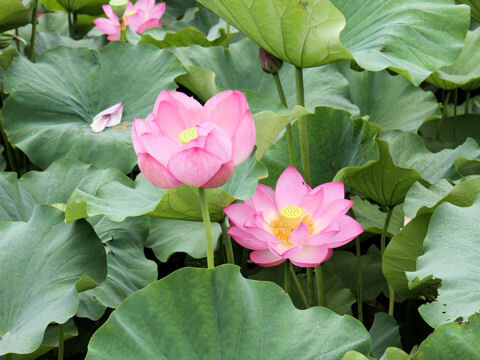 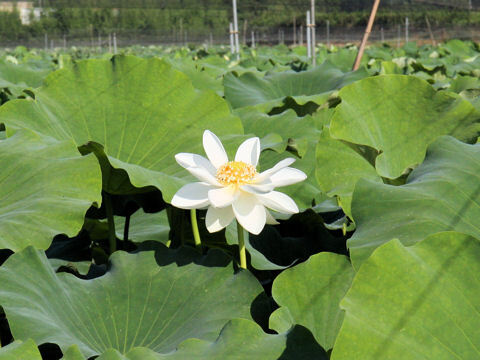 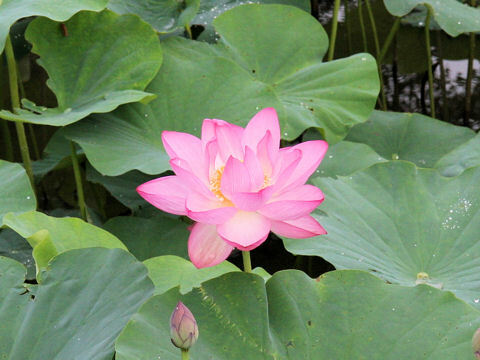 It is an aquatic perennial plant that is distributed widely from Japan to China, West Asia and northern Australia. 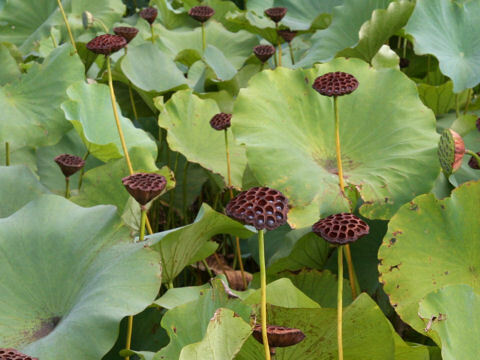 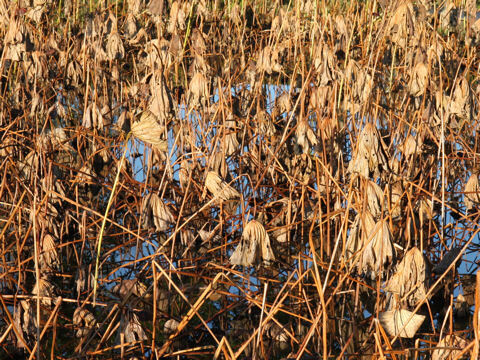 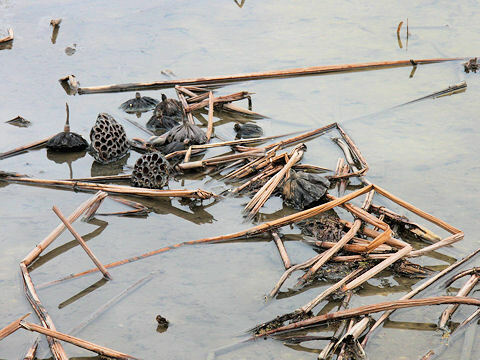 This plant grows in ponds or bogs, puts out shoots from the rhizomes in muds. 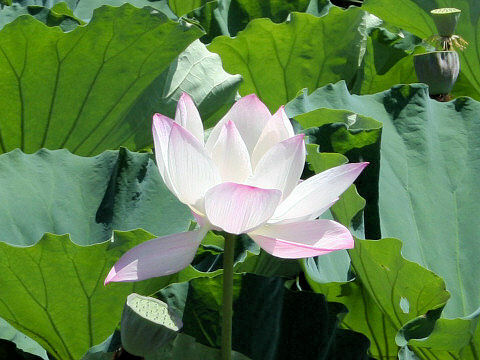 Pale pink or white flowers come from July to August. 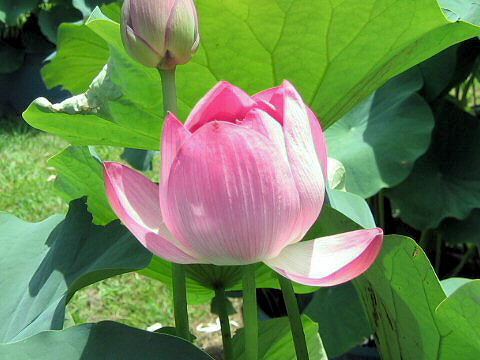 There are many cultivars. 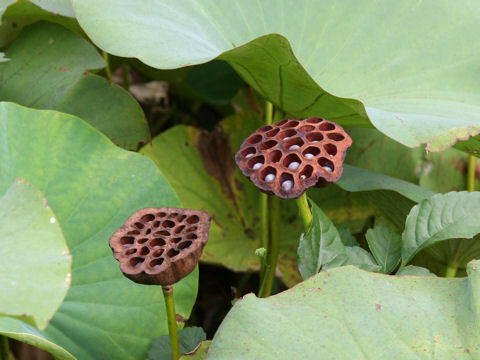 This root is named lotus root, used for food. 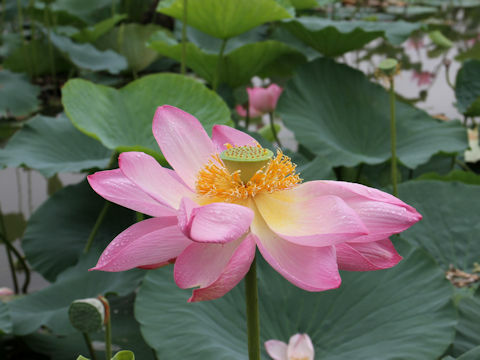 Hindu scriptures say that the cosmos was filled with water at first, the lotus-leaf was coming out of water and grew a thousand-petalled lotus flower of pure gold when the god create the womb of the universe. 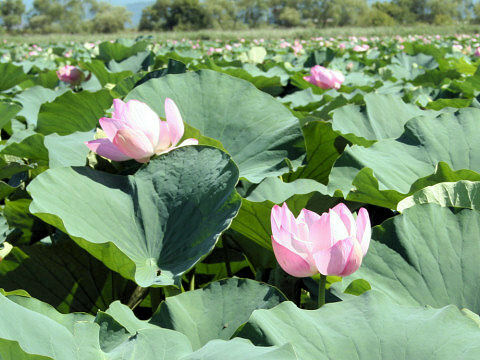 Thus, the lotus is the first product of the creative principle from the cosmic water.